An Iranian state-linked charity says more than 25,000 homes have been destroyed in flash floods across Iran amid what authorities said were the heaviest rains recorded in the past decade. 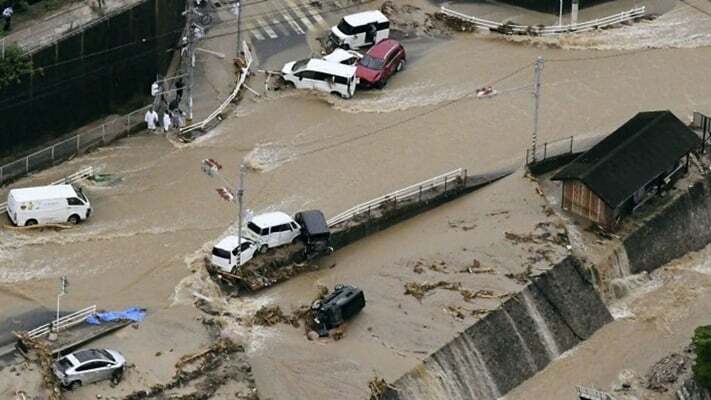 At least 62 people have been killed since March 19, according to official figures, in floods that swept northern, central, and southern Iran and spread to western and southwestern parts of the country in recent days. Thousands of people from scores of villages and towns have been evacuated across the country as forecasters predicted more heavy rains in the next two days. Hadi Darfishi, the deputy director of the Islamic Revolution Housing Foundation, a charitable organization overseen by the supreme leader, said on April 1 that more than 25,000 homes were destroyed and over 60,000 damaged during the recent floods, according to the official IRNA news agency. Iran's Meteorological Organization has called on citizens to refrain from travelling to flood-hit areas and warned of the possibility of flooding in 11 provinces, including in the northwest. In addition to the deaths, the government has reported that 36 per cent of the country's entire network of roads has been damaged. There are new warnings that dams in some areas could overflow, causing more devastation. Tens of thousands of people have been displaced, and many are in urgent need of food, water, tents and blankets. Yes we all need to repent of our sin and corruption and trust in Jesus Christ who died to save us from hell. Consequences of climate engineering activities.. Yes Lord we pray for salvation for this Nation, that they would come to know the Lord Jesus Christ as their savior Amen! An act of God to remind Iran not to piss Israel. Or are These rains geoengineered by Israel and the us ????? It was me, you fools! Every night before going to bed, I light candles and wave hawk feathers and do a secret pookie-dance, just to tweak the Iranians. So blame me! Hahahahahaha, my evil plan unfolds !!! Their leader told them to curse Israel, America, and Saudi Arabia, then they were hit with the floods. Might not want to mess with Israel, the Apple of God's eye.